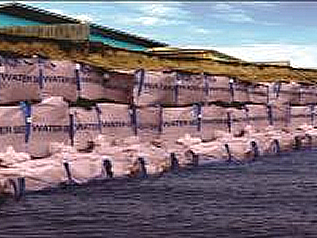 Use Big Bags USA flood barrier sandbags replacement systems in a variety of flood & water-control situations! 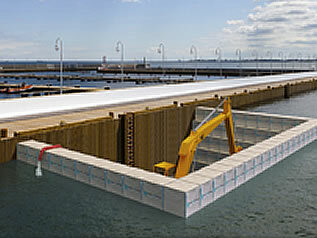 A fast and simple solution for containment and deferment of water. Big Bags USA is a great on hand sandbags tool for disaster prevention. 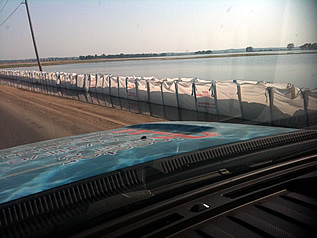 Coffer dams made with Big Bags USA flood barrier are an easy and cost effective alternative to metal sheet pilings that require expensive equipment to deploy. 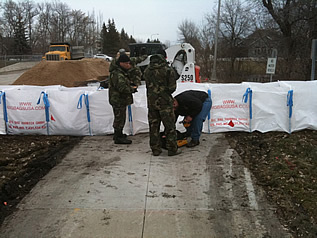 Excellent for on the spot traffic barriers using Big Bags USA sandbags system. 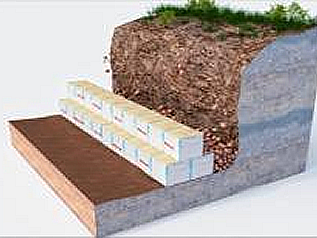 Easy deployment from protective construction barriers to emergency road side disasters. Used by the National Guard! North Dakota National Guardsmen had the opportunity to place and fill a new system during the 2010 flood fight. 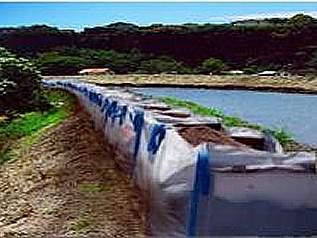 The Big Bag USA system is 15-feet wide and 3-feet high; when filled, it's equal to about 750 sandbags. Over 9,000 feet of Big Bags deployed by the Missouri Department of Transportation! This was in 2011 in Carrollton, MO to protect Route 65 from flood waters.